In 2019, the Port Esperance Sailing Club will be celebrating 160 years of regattas in Port Esperance and the d’Entrecasteaux Channel. During Easter 19 -21 April, 2019 the club will host three days of sailing, rowing and celebration and would love you to join this special event. Port Esperance Sailing Club is one of the oldest sailing clubs in Tasmania. We have a venerable history of hosting regattas, from the 1800’s to the present day – regattas that have hosted sailing and boating races in Southern Tasmania, combined, in many years, with community picnics and activities on the beautiful foreshore of Port Esperance in Dover. And 2019 promises to be something truly special. 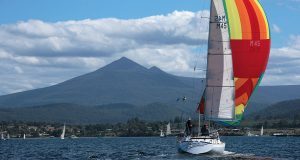 Our regatta will be held in parallel with SeaFest, a celebration of the sea and local business in the South of Tasmania, an event relaunched in 2018 and to be held again in 2019. The Regatta will begin with a feeder race from Kettering to Dover on Easter Friday. Saturday and Sunday will see sailing and rowing events with crews competing for the Franklin Marine William Jackson Memorial Cup for keelboats, Australia’s oldest sailing trophy, the B.K Price Trophy for off-the-beach yachts, the Driftwood Cottages Noel Doepel Memorial Trophy for classic boats and the Dover Pharmacy Hope Island Cup for rowing. Additionally, we will be awarding our inaugural trophy for best young sailor. And if you need any additional enticement, the Port Esperance Sailing Club has a reputation for putting on a damn good party with excellent food and music. What better way to celebrate the end of the sailing season! We look forward to welcoming participants in this special three day regatta during the Easter weekend. Registration can be made on our website at www.pesc.com.au in the coming months. More details will be provided closer to the date. For further information, please contact Matt Wardell, Commodore, Port Esperance Sailing Club, at commodore@pesc.com.au; T: 0428 279 002.